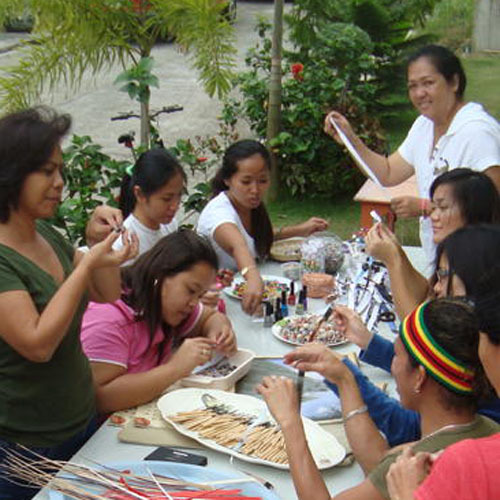 These women is taking a break from their usual daily chores and breaking the monotony of making same shape and size paper beads. 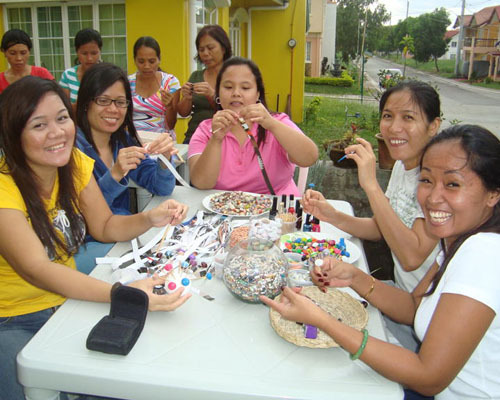 Well they decided to have a paper bead party, it seems like they cannot keep themselves away from making paper beads, but they wanted to experiment new shapes, and just having fun using their left over nail polish. 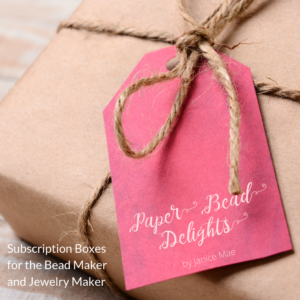 They are using same metal paper bead roller as seen in one of my tutorials, it rolls the paper tight with just the right hole for jewelry making. 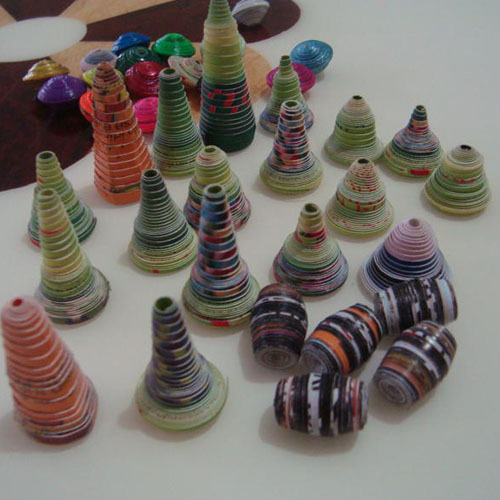 I would like to have a party like this: have some wine, paint each others nails, make some paper beads and color them with left over nail polish, sounds like fun? I think what they had was sweet sticky rice, with hot chocolate, yumm. 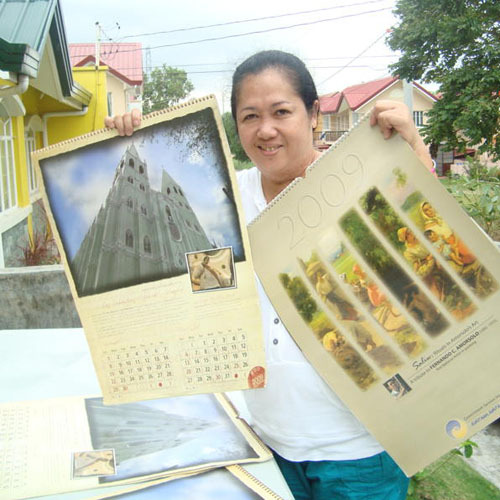 What to do with old calendars? Cut them into strips and roll them into paper beads. I think I would actually get so much satisfaction cutting up 2009 calendar (this will have to be another post). It can be quite therapeutic, what a year that was. I think they did a good job, look at these new shapes! I guess this was a whole day affair, they came up with this paper bead ball, I am trying to learn it myself, so I can share it with you. It’s so nice to see the neighbors doing this craft. How much is the ideal labor cost for cutting only, or rolling papers only? I want to share this great idea to friends who stays at home. hope for your reply! I also wanna join the bead party so I can actually see how different shapes of paper beads are made. 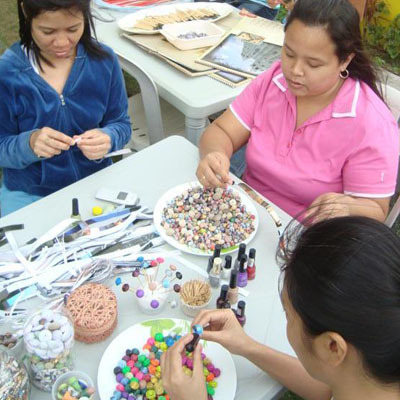 Where in Metro Manila can I actually see the paper beads making? beautiful beads, i wanna join the bead party and learn from these women! 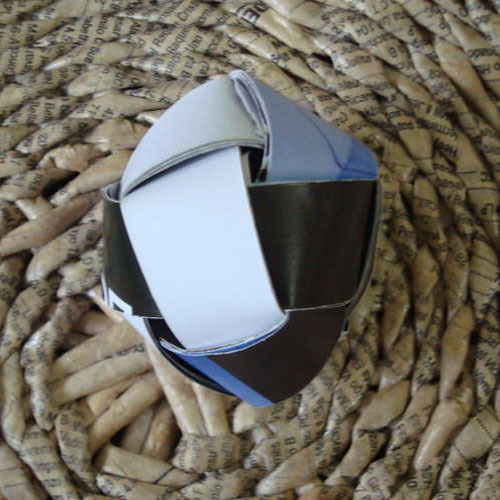 paper ball can be pendant too?